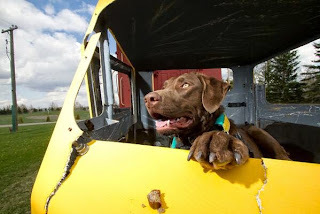 It's me, Toby the dog with a blog! Dogs that travel need quiet, safe and comfortable hotels (just like their humans). On our PAWS Across Canada anti-bullying tour, we had the chance to stay at a number of hotels. The last stay of our tour was at the Chateau Nova In Edmonton. Close by to the city centre airport, shopping, tourist attractions, and museums. Easy access to the #16 Yellowhead highway and downtown. The main lobby is welcoming and warm, and a great place for people to gather. Mom appreciated that there was well lit grassy areas to walk me, and, close by garbage cans. Dad liked the quiet rooms and comfy beds, and he had been driving most of the day . We enjoyed our stay here so much that we gave the Chateau Nova a Toby Tested Toby Approved award. Congratulations Chateau Nova for a great stay! We appreciate all you do for families traveling with their pets! It was great to have our partners The Original Poop Bags with us on tour and to share their products with our pet friendly hotel partners, like the Nova. Please remember to subscribe to our blog so you get our updates, and share with others. 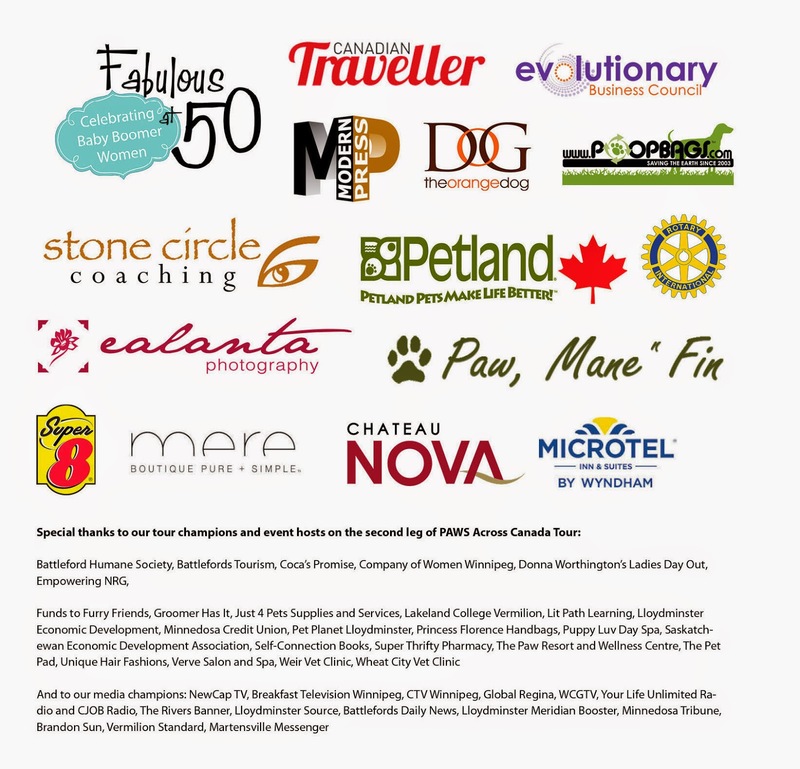 Thank you to our PAWs Across Canada tour partners, we appreciate you!